Our goal is to make sure your legal rights and interests as a faithful citizen are protected at all times. *Disclaimer: Use of this web site does not create an attorney-client relationship between you and Koning and Jilek P.C.. If you send an e-mail and they do not already represent you, your e-mail will not create an attorney-client relationship and will not necessarily be treated as privileged or confidential. The materials have been prepared for this web site by Koning and Jilek P.C. for informational purposes only. Nothing herein is intended to be legal advice and Koning and Jilek P.C. expressly disclaims all liability in connection with the legal information contained herein. Do not act upon any information provided herein without first speaking with a qualified attorney or you do so at your own risk. Have a legal question? Send it to us and we'll answer here! "Do I need a doctor to prove the personal injury case?" This depends on the type of personal injury claim and the type of damage. However in the vast majority of cases physicians are helpful and in most cases are required to prove causation and damages. Feel free to contact my office for a free consultation. Read more by visiting our recently asked questions. "Is it possible to increase the amount of compensation when I already filed?" It depends on what type of compensation are you talking about. You need to contact an experiences personal injury lawyer. Feel free to call my office for a free consultation. "Do I have to negotiate a personal injury settlement price with the company? Can we do this out of court?" This depends on the specific facts and circumstances of your case. You should not attempt to negotiate or settle an injury claim without the assistance of an experienced personal injury lawyer. 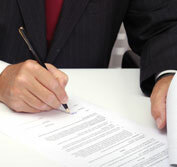 There may be lien and tax implications for settlement. Failure to properly negotiate can lead to disastrous results. "Can I sue the insurance company instead of the company?"